Yomi GREEDS Sode is a poet I first met many moons ago when a promoter at the launch of a new night asked me to play Sax alongside him as he performed poetry to give it something a little different. From that moment I have had a front row seat in his evolution as an artist watching him grow with every performance to a place where his words can draw tears of joy and sadness out of those listening. 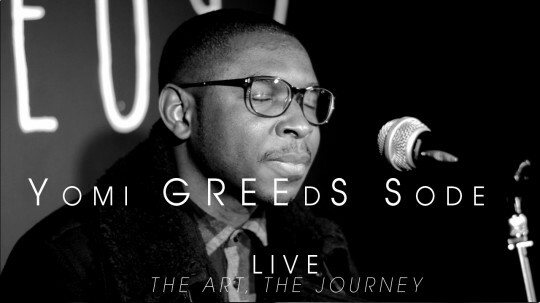 Yomi performed at our events in Camden, New Cross, Croydon, Greenwich, Shoreditch and has grown with the brand and helped it to grow so it was only right he be the first subject of our new series LIVE, The Art, The Journey. He is honest and frank about his experiences on the stage and why it is he does what he does.